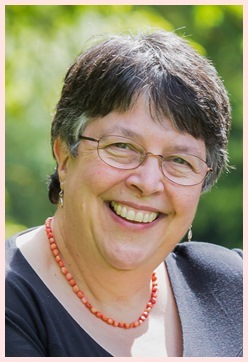 Janice first started helping her mother with the 7th Banstead Cub Scout Pack as a teenager in 1972, going on to become an instructor, and finally an Assistant Cub Scout Leader. 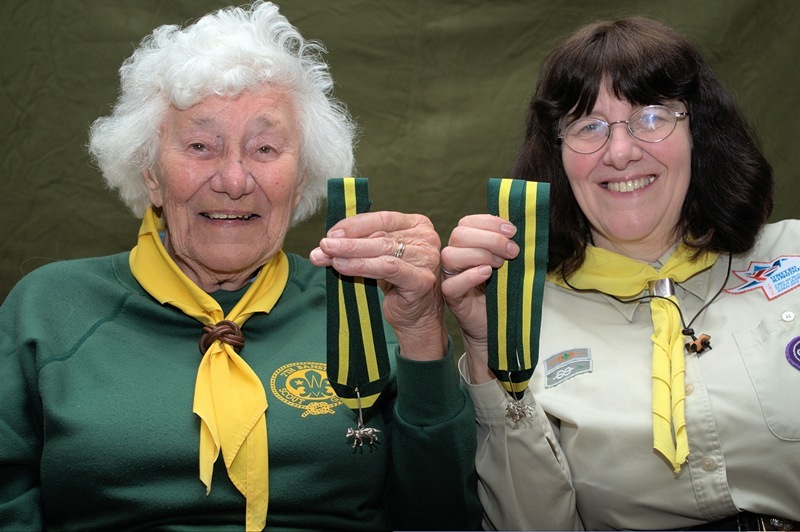 In 1991 she also stepped in to assist the Scout Troop, and then ran both sections for 2 years, before deciding that she was needed more in the Scout section and changed her role to Scout Leader. 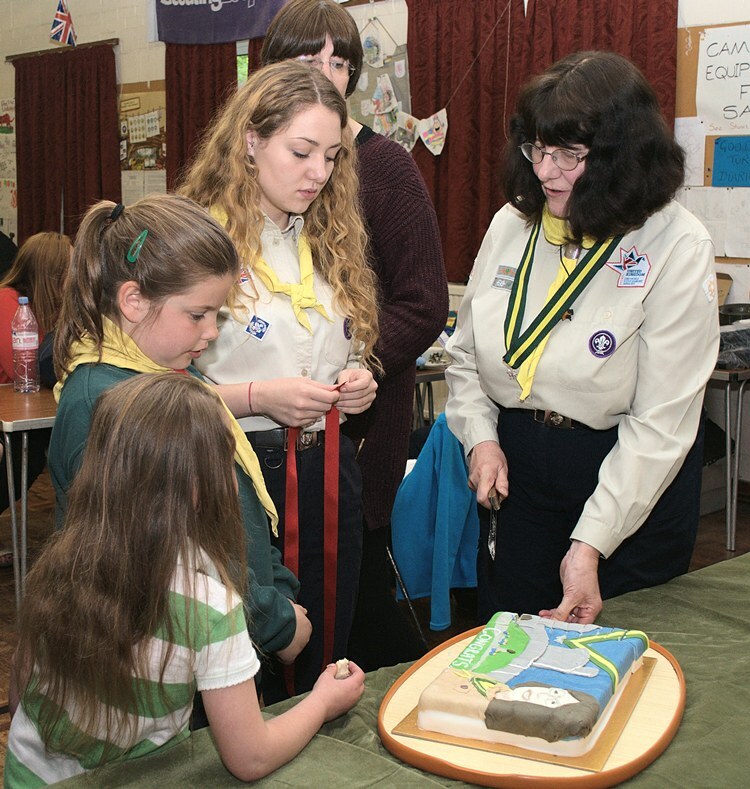 In 2000 the current Akela emigrated and Janice stepped in again to run the cub scout section “on a temporary basis” whilst another leader was found, but as no one came forward she has continued to act as both Cub and Scout Leader ever since, ably assisted by her husband Stuart, whilst also fitting in the odd session as Scouter in Charge and Head of the Finance committee. The family tradition appears to be carrying on with Janice’s daughter Maura, who started helping weekly with the Beaver Scout section when she was just 11, and is now an Assistant Cub Scout Leader with 7th, whilst son Owen is an Explorer Scout. Maura designed and iced a special Windsor Castle cake for the occasion! The whole family agree that the camps and sleepovers are the highlights of each year, and it is these memories that most ex-cubs, scouts and leaders remember long after they have left the group. Cub camp has been held on the same farm in Angmering, Sussex for the last 60 years and Margaret still goes along in her caravan. Scout camps vary from place to place each year. As part of the celebration Janice and Maura were invited to the St Georges Day Parade at Windsor, where they attended Matins in St Georges Chapel in the presence of the Queen and the Chief Scout Bear Grylls. .
Congratulations to you both and many thanks for your long service and hard work!